Are you finding epic free shooting games? Have you tried many sniper games but you can not reach suitable shooter games yourself. Dont worry, Bullet Strike, the best FPS shooting game on mobile, is here to help you. Experience realtime kill shot battlegrounds of FPS Shooting games: It is one of multiplayer free online shooting games so you can compete with real sniper shooters around the world. Use sniper tactics to reach the top of leaderboards: You will be put your sniper shot skills to the test. Be ing Sniper FPS and we have many rewards for you. Be always updated on modes, maps, and characters: We always have Bullet Strike, Sniper 3D game updated regularly to meet the players wishes. 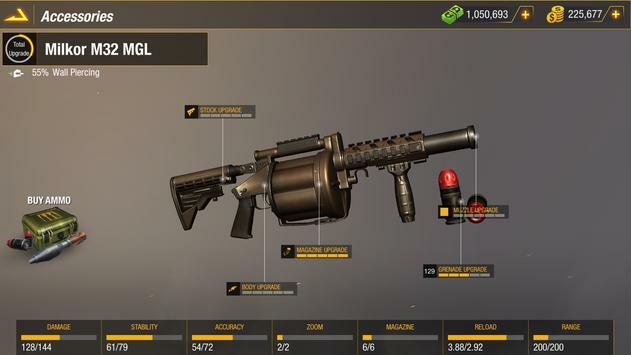 Bullet Strike is one of the best free online shooting games, where you can use your topnotch sniper strike skills and sniper tactics to kill sniper shooters around you. The game has 2 modes of sniper shot 3D: sniper PvP and PvE. 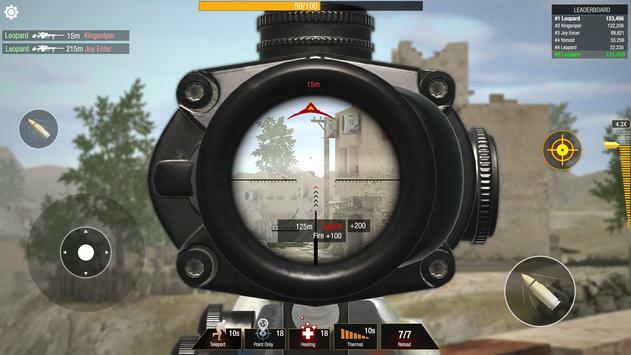 PvE mode will help you get familiar with multiplayer sniper games. When being ready with sniper strike, you can choose Sniper PvP mode to fight with real sniper warriors worldwide. To win our free shooting games battles, your mission is to find and kill all enemies in sniper strike arena, who are maybe faraway targets, moving or hiding ones. Although your sniper targets are hidden behind walls or obstacles, you totally can take advantage of kill shot with your sniper rifles equipped with the powerful piercing ability to defeat them. The farther your target is, the higher achievements you get. Bullet Strike: Sniper PvP, one of the best free shooter games, will bring to you unique, challenging survival experience to achieve the perfect kill shot‌. Join the sniper arena, become sniper assassin by enjoying every battle with premier FPS games experience. Morever, it is one of free shooting games, so a suitable device and some king sniper FPS skills are enough, the rest the game will give you. Equipped with really captivating FPS games graphics, realistic sounds, constantly updated features, and realtime sniper shot 3D against snipers PvP from all over the world, Bullet Strike is definitely one of the best multiplayer sniper games for mobile. Please review Bullet Strike: Sniper Games Free Shooting PvP Game and submit your comments below. 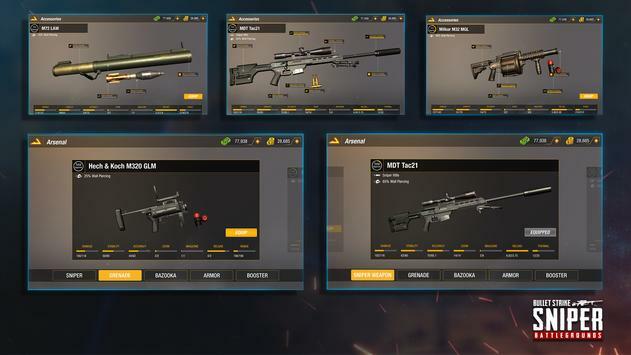 We will collect all comments in an effort to determine whether the Bullet Strike: Sniper Games Free Shooting PvP app is reliable, perform as expected and deliver the promised features and functionalities.